What Are the Most Common Fur Repairs? An important part of maintaining the lifespan and beauty of your luxury furs is visiting a furrier regularly for fur repairs in Chicago. You should also contact a furrier about fur coat repairs before placing your coats into fur storage. Here is a look at the most common repairs for fur coats, capes, accessories, and luxury furs. 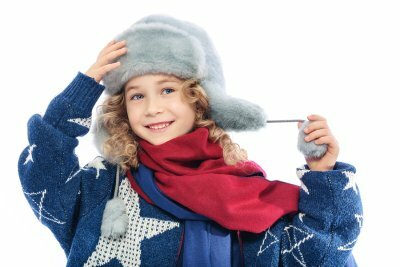 The most common fur repair performed by furriers is fixing rips and tears in the fur or lining of a fur coat, cape, or accessory. Your furrier will inspect the tear or rip and determine whether he can fix it, and approximately how much it will cost. Only a professional furrier can repair a tear or rip in the fur. You should not take a fur coat to a regular tailor for fur coat repairs. If there is a rip or tear in the lining of a fur coat or fur cape, the entire lining might have to be replaced. Your luxury furs might develop bald spots if a shoulder strap or seat belt continuously rubs against the fur. Bald spots can also occur if a fur coat or luxury fur becomes infested by bugs. A furrier can repair a bald spot on a fur coat, fur cape, or fur accessory by applying a small patch of replacement fur on the bald spot. This can be quite involved depending on the style of the garment. It is very common for zippers or other fur coat closures to become damaged, or fall off of a fur coat. A furrier can perform quick, expert fur coat repair, or replace buttons, zippers, and hook and eye closures on your fur coat. This ensures that your fur coat is as warm as possible, and also looks attractive.